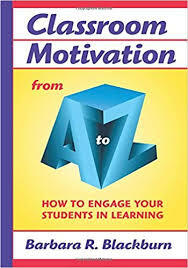 Motivation in the Classroom research papers on the difficulty of classroom management and motivating students to achieve. Children who are not motivated are generally poor learners, and to some extent, have behavioral problems. Motivation will be difficult to achieve in students without some history of success in their efforts at learning. Intrinsic motivation, which is necessary for the child to become a lifelong learner, will be impossible to accomplish. Another area that is related to motivation is the training of students to accept delayed gratification. Again, this is accomplished by instilling intrinsic motivation in the student. The teacher must transfer desire for concrete rewards to internal rewards that the student builds within his or her cognitive process. But this cannot be accomplished until the child is cognitively ready to think in such terms. Research clearly shows that students who are not academically prepared are not academically motivated. Of course, because of ethical concerns it would be difficult to examine this relationship in a format that would suggest a causal connection. However, it seems only logical that if a child were not cognitively prepared to learn a skill or understand a concept because of his or her stage of cognitive child development, this would impact the student’s motivation and the teacher’s ability to effectively build intrinsic motivation within the child’s learning process. Consequently, in order for the teacher to accomplish the goals of motivation and skill building, it would appear to necessary for the primary strategy within the classroom to be one determining the child’s cognitive level or readiness before teaching a task. If the task is beyond the stage or capability of the child, then he or she will experience failure, which will reduce his or her level of motivation. Extrinsic Motivation - Research papers on extrinsic motivation discuss the theory that involves the engaging of a behavior or activity for some reward. Stimulating Learning Through Educational Games - Stimulating Learning Through Educational Games Research Papers discusses different games that can help unmotivated children learn. Theory of Motivation research papers look at an example of a paper order that already gives you an outline to follow. Motivation Theories - For the research paper select any two of the motivation theories or models studied for psychology research papers. Leadership and Motivation - Knowledge gained after learning Leadership and Motivation concepts require reflections of your own leadership model. Child Behavior - Child Behavior research papers discuss the development and behavior of children from 9 months to 4 years. Child Psychology - Psychology of the Child research paper examines the cognitive development theory found in Jean Piaget's famous work. Cognitive Strategy Instruction - Cognitive strategy instruction is an approach to teaching that works to enhance learners’ abilities to control and direct their own learning activities. Cognitive and Psychosocial Development Case Study - What you see on this page is an example of a case and the accessment of what stage of development the child is at. Paper Masters writes custom research papers on Motivation in the Classroom and on the difficulty of classroom management and motivating students to achieve.